More than a toy or keepsake, this supportive, over sized, floppy Bear is an open invitation to snuggle up and read, or power nap. 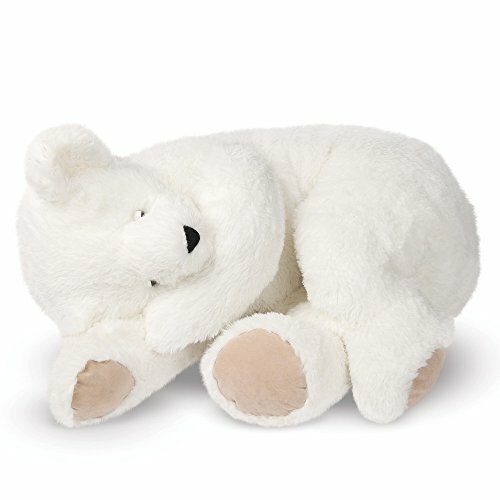 With Light Cream colored fur, it has a unique body-pillow inspired shape making him a great pillow, backrest and comforting companion to cuddle. Super soft fur, weighted paws and a slightly under stuffed body make his Bear hugs even better. Go ahead, snuggle in for a long nap. Bear measures 3' long. Stuffed with love in Vermont, USA using 100% recycled stuffing using plush fur, soft fabric details and 100% recycled stuffing. Guaranteed for life. Please note that this Bear does not include a Vermont Teddy Bear gift box with free gourmet candy treat.